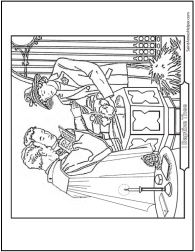 Teachers and homeschooling mothers will like this Saint Helen coloring sheet. 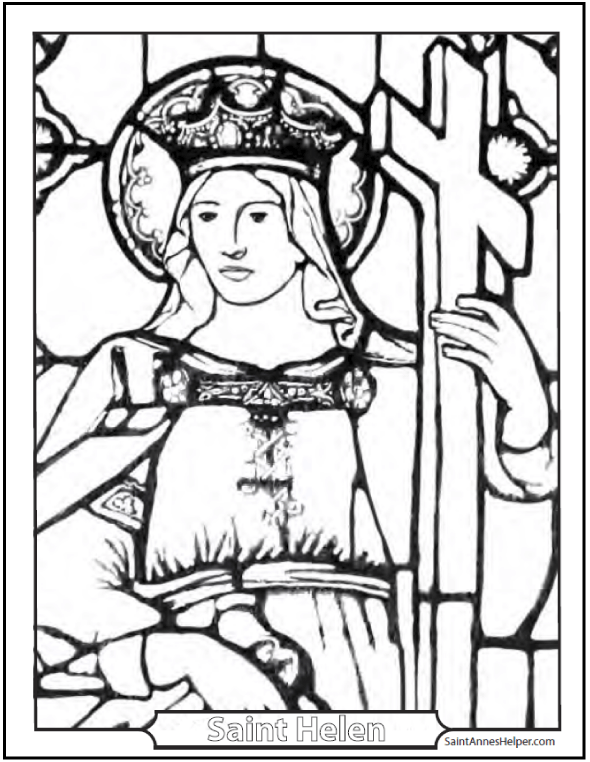 It is from a beautiful stained glass window of her finding the True Cross. Also called St. Helena, she was the mother of Constantine of the Roman Empire, so she was the Empress. Saint Helen was the Empress of the Roman Empire and at 80 years old she found the True Cross of Jesus Christ. This next is a story of Saint Helen from the Pictorial Lives of the Saints, with Reflections for Every Day in the Year, compiled from Butler's Lives and other Approved Sources. Imprimatur, 1878. It was the pious boast of the city of Colchester, England, for many ages, that Saint Helena was born within its walls; and though this honor has been disputed, it is certain that she was a British princess. She embraced Christianity late in life; but her incomparable faith and piety greatly influenced her son Constantine, the first Christian emperor, and served to kindle a holy zeal in the hearts of the Roman people. Forgetful of her high dignity, she delighted to assist at the Divine Office amid the poor; and by her alms-deeds showed herself a mother to the indigent and distressed. In her eightieth year she made a pilgrimage to Jerusalem, with the ardent desire of discovering the cross on which our blessed Redeemer suffered. After many labors, three crosses were found on Mount Calvary, together with the nails and the inscription recorded by the Evangelists. It still remained to identify the true cross of Our Lord. By the advice of the bishop, Macarius, the three were applied successively to a woman afflicted with an incurable disease, and no sooner had the third touched her than she arose, perfectly healed. The pious empress, transported with joy, built a most glorious church on Mount Calvary to receive the precious relic, sending portions of it to Rome and Constantinople, where they were solemnly exposed to the adoration of the faithful. Reflection: Saint Helena thought it the glory of her life to find the cross of Christ, and to raise a temple in its honor. 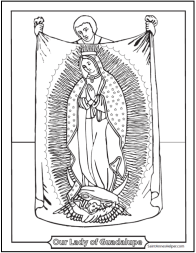 [Catholics can be proud today] to make this life-giving sign, and to confess themselves the followers of the Crucified! The following information is an excerpt from Butler's Lives of the Saints, 1866. It is not from the re-written Thurston or Attwater versions of the early and mid 1900s. We find the older version of Butler's Lives to be more credible than the revisions. We are assured by the unanimous tradition of our English historians, that this holy empress was a native of our island. William of Malmesbury, the principal historian of the ancient state of our country after Bede, and before him, the Saxon author of the life of St. Helen, in 970, quoted by Usher, expressly say that Constantine was a Briton by birth; but an authority which is certainly decisive, is that of the anonymous, elegant, and learned panegyrist, who, haranguing Maximian and Constantine upon the marriage of the latter to Fausta, said to Constantine: “He (Constantius) had freed the provinces of Britain from slavery; you ennobled them by your origin. Leland, the most diligent searcher of our antiquities, says, Helen was the only daughter of king Coilus, who lived in constant amity with the Romans, and held of them his sovereignty. The Glastenbury historian says the same. Henry of Huntington tells us, that this was the King Coël who first built walls round the city of Colchester, and beautified it so much, that it derives from him its name. That town has for several ages boasted that it gave birth to this great empress; and the inhabitants, to testify their veneration for her memory, take for the arms of the town, in remembrance of the cross which she discovered, a knotty cross between four crowns, as Camden takes notice. Though Mr. Drake will have it that she was rather born at York, as the English orators in the councils of Constance and Basil affirmed; to which opinion he thinks the anonymous panegyrist of Constantine evidently favourable. Constantius, at that time only a private officer in the army, had the happiness to make her his first wife, and had by her Constantine his eldest son, who, as all agree, had his first education under her watchful eye. Maximian was a native of Sirmium, of the meanest parentage, savage in his manners, countenance, and temper, but a bold and experienced officer. He brutally indulged all his passions, was faithless, and so great a debauchee that he frequently offered violence to ladies of the first quality, and so covetous that he put many senators to death to seize their estates, and plundered all the West which he governed. Dioclesian was a soldier and a politician, but oppressed the provinces with most exorbitant taxes, maintained four times more soldiers than any of his predecessors had done before him, and was passionately fond of building; and when he had finished a palace at an expense which ruined a whole province, he would find some fault with it, and pull it down to raise it after a different manner; nor was the second building secured from a new caprice, upon which it was sometimes again levelled with the ground. So madly expensive was he, that he took it into his head to make Nicomedia, where he usually resided, equal to Rome, and made it desolate of inhabitants to fill it with magnificent palaces, hippodromes, arsenals, and what not. He was no less foolishly vain in his dress, equipage, and furniture. Yet he was so insatiably covetous, that he would always keep his exchequer full from the spoils of families and all the provinces. In this the two emperors were not unlike, and they reigned together twenty years. The better to secure themselves, and carry on their wars, they associated to themselves, in 293, two other emperors of an inferior rank, under the name of Cæsars. Dioclesian chose Galerius Maximian, surnamed Armentarius, a native of Dacia, one of the most furious and profligate of men; him he compelled to divorce his wife, and marry his daughter, Valeria. Maximian Herculeus pitched upon Constantius Chlorus, a prince never charged with any vice, a good soldier, and nobly born, being descended from the emperor Claudius II. and from Vespasian, from whom his family bore the prænomen Flavius. Herculeus reserved to himself the rich provinces of Italy, Spain, and Africa; Constantius had the countries on this side the Alps, namely Gaul and Britain; Galerius had Illyricum and the places adjacent to the Euxine sea, and Dioclesian the East. Constantius, by the articles of this association, was obliged to divorce Helen, and to marry Theodora, the daughter-in-law of Maximian. The Christians enjoyed a kind of peace, except that in the West some martyrs suffered, chiefly in the army, or by the natural cruelty of Maximian, who delighted in blood; but in the beginning of the year 302, Galerius at Nicomedia prevailed upon Dioclesian to form a project utterly to extirpate the Christian name. Constantine, from his first accession to the throne, by his edicts, forbade the Christians to be molested on account of their religion. Fluctuating what deity to invoke before his battle with Maxentius, he was at length inspired to address himself to the true God, and encouraged by miraculous visions. From that time he published frequent edicts in favor of the Christian faith, built stately churches, munificently adorned altars, and delighted much in the conversation of bishops, whom he often admitted to his table, notwithstanding the meanness of their outward appearance. Baronius says, that the same year in which he vanquished Maxentius, he gave to the bishop of Rome the imperial Lateran palace. He distributed alms abundantly among the poor of all kinds, even among the Pagans. 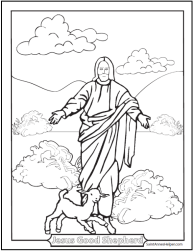 Those who were fallen from a better condition he assisted after a more generous manner, giving land to some, and places to others; he was particularly careful of orphans and widows; and gave portions to virgins. It appears from Eusebius, that Saint Helen was not converted to the faith with her son, till after his miraculous victory; but so perfect was her conversion, that she embraced all the heroic practices of Christian perfection, especially the virtues of piety and alms deeds, in which she doubtless was a great spur to the emperor. Her dutiful son always honored and respected her, forgetting in her regard that he was emperor of the world, unless to employ his power in serving her. He caused her to be proclaimed Augusta or empress in his armies, and through all the provinces of his empire; and medals to be struck in her honour, in which she is called Flavia Julia Helena. 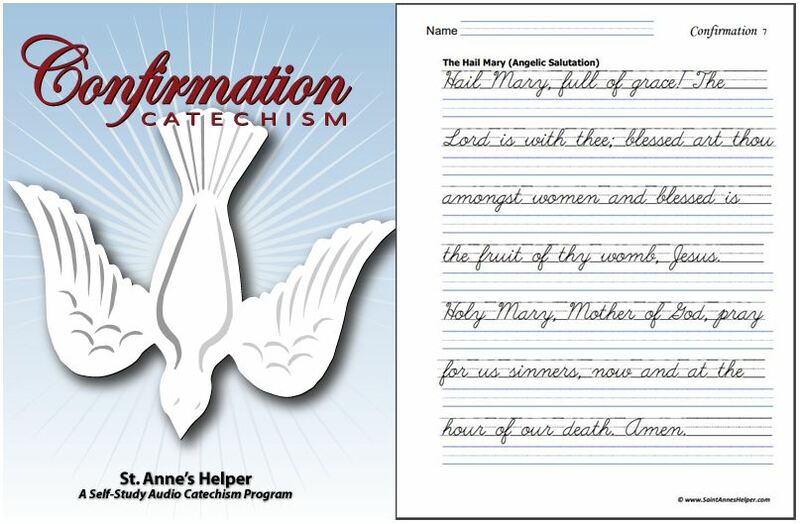 She was advanced in years before she knew Christ; but her fervor and zeal were such as to make her retrieve the time lost in ignorance; and God prolonged her life yet many years to edify, by her example, the church which her son labored to exalt by his authority. Rufinus calls her faith and holy zeal incomparable; and she kindled the same fire in the hearts of the Romans, as St. Gregory the Great assures us. Forgetting her dignity, she assisted in the churches amidst the people in modest and plain attire; and to attend at the divine office was her greatest delight. Though mistress of the treasures of the empire, she only made use of them in liberalities and alms; she distributed her charities with profusion wherever she came, and was the common mother of the indigent and distressed. She built churches, and enriched them with precious vessels and ornaments. Constantine being, by this victory [against Licinius], become master of the East, concurred in assembling the council of Nice, in 325; and, in 326, wrote to Macarius, bishop of Jerusalem, concerning the building of a most magnificent church upon Mount Calvary. Saint Helen, though then four score years of age, took the charge on herself to see this pious work executed, desiring at the same time, to discover the sacred cross on which our Redeemer died. Eusebius, in his life of Constantine, mentions no other motive of her journey but her desire of adorning the churches and oratories in the holy places, and of relieving the poor in those parts, doubtless out of devotion to the mysteries of our divine Redeemer’s sufferings; but Rufin attributes it to visions; Socrates to admonitions in her sleep; Theophanes to divine warnings; St. Paulinus to her piety; saying that she undertook this journey to find the cross amongst other motives of devotion. And Constantine, in his letter to Macarius the bishop of Jerusalem, commissioned him to make search for it on Mount Golgotha of Calvary. The heap of earth which had been thrown by the Pagans on the spot was removed, and the statue of Venus cast down, as St. Paulinus and St. Ambrose relate. Another perplexing difficulty occurred in distinguishing the cross of Christ amongst the three that were found; for the nails found with it were no sufficient proof. The title which lay near it, and doubtless the marks of the nails which had fixed it, furnished an indication, as St. Chrysostom and St. Ambrose mention. Yet some doubt remained, to remove which, the most wise and divine Bishop Macarius, as he is called by Theodoret, who was one of the prelates who had condemned the impiety of Arius at Nice the year before, suggested that a miraculous proof should be asked of God. The pious empress therefore went, attended by the bishop and others, to the house of a lady of quality who lay very sick in the city. The empress having made a prayer aloud, recorded by Rufin, the bishop applied the crosses, and the sick person was restored instantly at the touch of the true cross, as all these historians relate. Sozomen, St. Paulinus, and Sulpicius Severus add, that a person dead was by the like touch raised to life; but this deserves little notice, being only related upon report, as Sozomen expresses it. Saint Helen, when she had discovered the holy cross, “adored not the wood, but the King, Him who hung on the wood. She burned with an earnest desire of touching the remedy of immortality.” These are the words of St. Ambrose. Part of the cross she recommended to the care of the Bishop Macarius, and covered it with a rich silver case, of which the Bishop of Jerusalem was the guardian, and which he every year exposed to the adoration of the people, says St. Paulinus; and oftener according to the devotion of pilgrims. She built a most sumptuous church on the spot to receive this precious relic. The other part of the cross she sent to her son the emperor at Constantinople, where it was covered and exposed to the veneration of the people with the greatest solemnity. Of the nails, one she put in a bridle, another in a diadem for her son, says St. Ambrose. A third she threw into the Adriatic gulf in a storm; on which account the sailors entered on that sea as sanctified, with fastings, prayer, and singing hymns to this day, says St. Gregory of Tours. She built a convent for holy virgins at Jerusalem, mentioned by Suidas. Eusebius adds, that whilst she travelled over all the East with royal pomp and magnificence, she heaped all kind of favors both on cities and private persons, particularly on soldiers, the poor, the naked, and those who were condemned to the mines; distributing money, garments, &c.; freeing many from oppression, chains, banishment, etc. She beautified and adorned the city of Drepanum, in Bithynia, in honour of St. Lucian, martyr, so that Constantine caused that city to be called from her Helenopolis. This holy empress, and the great prince her son, paid all possible honor to bishops and pastors of the church. He who truly loves and honors God and religion, has a great esteem for whatever belongs to it; consequently respects its ministers. The first zealous Christian princes were thoroughly sensible that it is impossible to inspire the people with a just value and awful reverence for religion itself, and its immediate object, without a reasonable respect for its sacred ministers. Upon this principle were immunities granted to the church. Even Numa, and other heathen legislators, observe this maxim, to impress upon men’s minds religious sentiments, though towards a false worship. Scandals in pastors, when notorious, are most execrable sacrileges; and circumspection is necessary, that we be not drawn aside or imposed upon by any, because, like Alcimus, they are of the seed of Aaron; but a propensity to censure rashly, and detract from those persons who are invested with a sacred character, is inconsistent with a religious mind, and leads to a revolt. True pastors indeed, in the spirit of the apostles, far from ever resenting, or so much as thinking of any slights that may be put upon their persons, or desiring, much less seeking, any kind of respect, rejoice and please themselves rather in contempt, which in their hearts they sincerely acknowledge to be only their due. Humility is the ornament and the ensign of the sacred order which they hold in the Church of Christ. At last, this pious princess returned to Rome, and perceiving her last hour to approach, gave her son excellent instructions how to govern his empire according to the holy law of God. Then bidding him and her grandchildren a moving farewell, she expired in their presence in the month of August, 328, or, according to some, in 326, which year was the twentieth of her son’s reign, who on that occasion gave magnificent feasts at Rome during three months. Constantine ordered her to be interred with the utmost pomp with a stately mausoleum, and a porphyry urn, the largest and richest in the world, which is now shown in a gallery belonging to the cloister of the Lateran basilica. He erected a statue to her memory, together with his own, and a large cross, in the middle of a great square in Constantinople; he also erected her statue at Daphne, near Antioch. Her name occurs in the Roman Martyrology on the 18th of August, the day of her death. Notker, abbot of Hautvilliers, in the diocess of Rheims, in 1095, wrote a history of the translation of the relics of Saint Helen from Rome to that abbey, which was performed with pomp in 849. 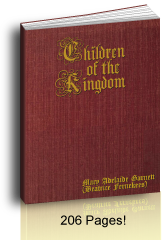 The author gives an authentic account of several miracles wrought through the intercession of this saint. He testifies that he had been eyewitness to many of them, and had learned the rest from the very persons on whom they had been performed. Part of this work, which is well written, was published by the Messieurs of Ste-Marthe, and by Mabillon, and almost the whole is inserted by the Bollandists, in their great work. The entire manuscript is preserved at Hautvilliers, with an appendix written by the same author, containing an account of two other miracles performed by the relics of this saint. Are you named Ellen, Helen, or Helena? Then she is your patron saint. 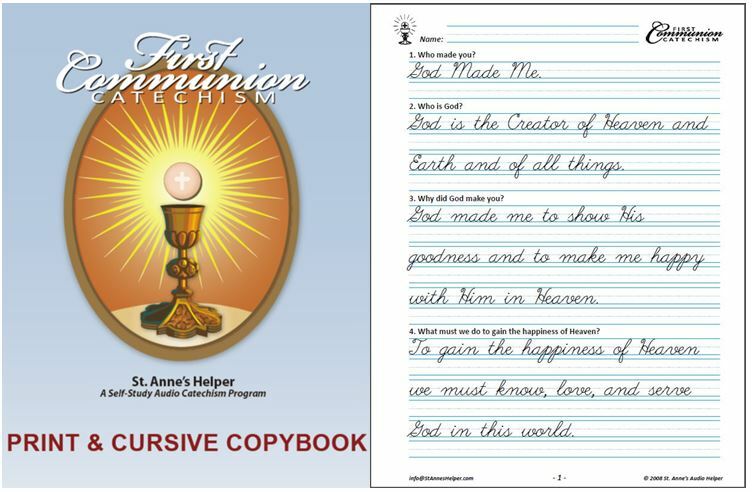 Is your church or school named after Saint Helen? Then, in a way, she is your patroness. Remember to ask this great saint to pray for you. I'm there's a special place in Heaven for any place named after her, like Mount Saint Helen's in Oregon. Roman Catholic Bible Online (Douay-Rheims Bible) quotes have been compared to the hard bound Douay-Rheims Bible, Tan Books. A Catholic Missal concurs with the Vulgate version of the Roman Catholic Bible so that the daily readings for a saint's feast would be good to read (For example: St. Andrew Missal by Angelus Press, Baronius, St. Bonaventure Publications, and Fr. Lasance). 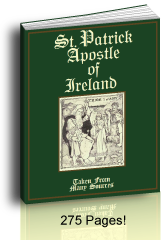 Pictorial Lives of the Saints, with Reflections for Every Day in the Year, compiled from Butler's Lives and other Approved Sources. Imprimatur, 1878. Notes from Rev. Alban Butler's Lives of the Saints (1866) have been compared to Butler's Lives of the Saints, Sarto Books, 1982 (NOT Thurston's or Attwater's rewrites).